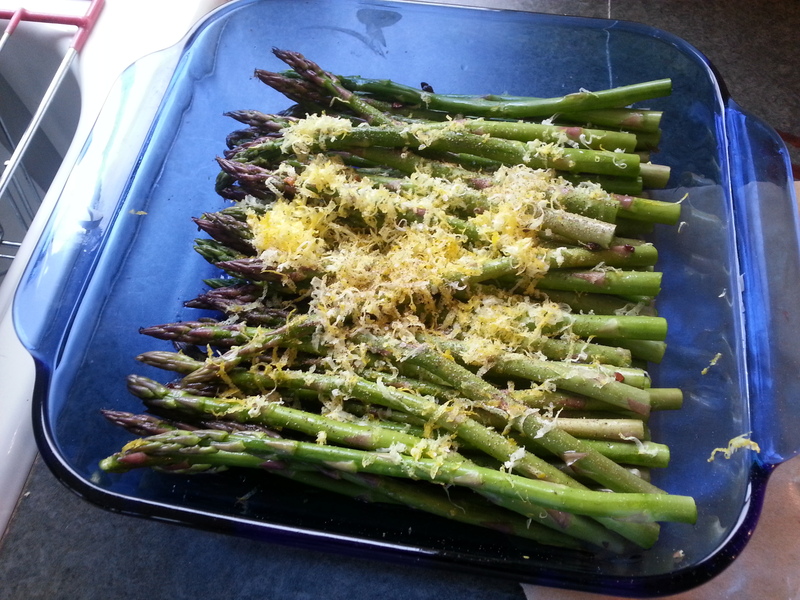 Over the summer, grilled asparagus is a staple in our house-hold. Once the grocery stores start stocking those skinny little green stalks, it’s all I can do to not load handfuls of them into my cart on every trip. Simply put, sprinkle all of the ingredients over the asparagus, and mix them together, and then grill over medium-high heat. I usually grill about 3-4 minutes before mixing the stalks around, and repeating the process. Serve with another sprinkle of pepper and squeeze of lemon.